This casual game is sure to bounce your brain! 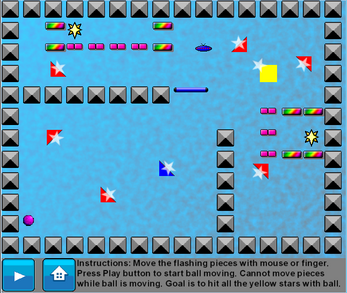 In this puzzle game, your goal is to hit yellow stars with a bouncy pinball. 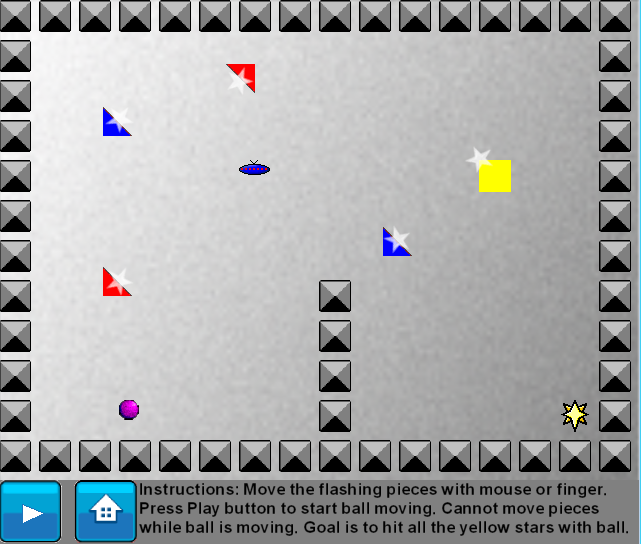 To do that, you must rearrange shapes and pieces on the board, so that the ball will bounce off of them. 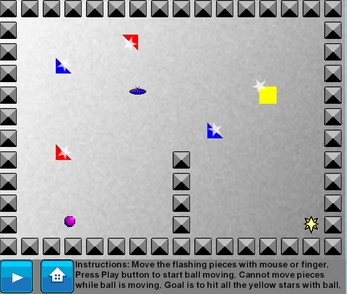 There are also plenty of other obstacles and bonuses for the ball to hit (and maybe avoid, in some cases). It's a physics-based, collision-filled challenge that tests your problem-solving skills. This is currently very much in development, we are continuing to add to and improve it. We appreciate any and all constructive feedback. I also am interested in how easy it is for people to pick up and understand how to play the game, so please leave comments and feedback in that regard. The song in the game is "Snowy Forest" by Kabbalistic. 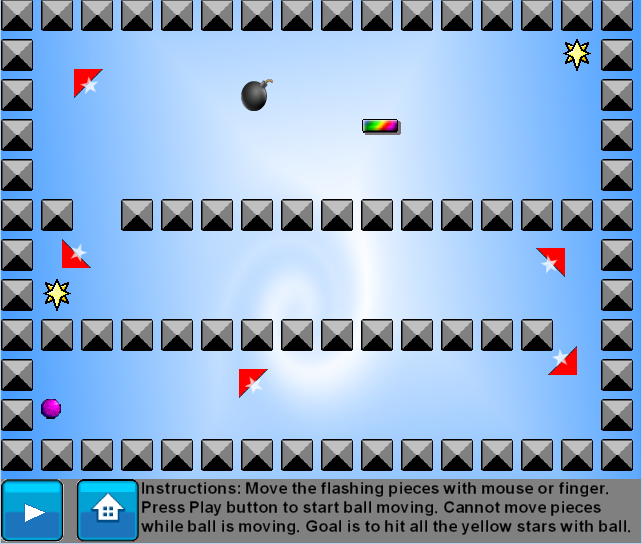 I am currently developing a level editor for Brain Bouncer, so that you can create your own levels and share them with friends. Would you like to have your levels included in a future update? Download the game from this page (either Windows or Android) or Google Play, and the first 20 downloaders/respondents will get a FREE key for the editor when it becomes available. 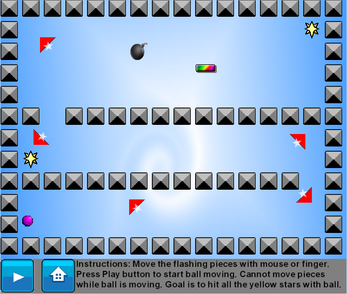 Then, once the editor is available, send me your levels (the submission method will be worked out closer to release), and the best ones will be included, for all players, in a future update to Brain Bouncer! If you download from Google Play, send me an email to let me know (contact@cloudyheavengames.com), so I can contact you when the editor is available. New features, and available on Google Play!